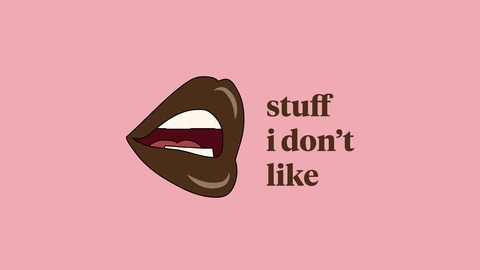 Stuff I Don't Like is a new weekly podcast featuring candid conversations with a variety of diverse and dynamic speakers. Whether we're discussing racism, environmental sustainability, or basic millennial dating drama, we always seek to educate our listeners with a mix of humor, honesty, and zero chill. Past guests include Buzzfeed contributor and comedian Gary Curtis, activist Kamilah Willingham who was featured in the Emmy-nominated documentary, "The Hunting Ground," and Dave Anderson, a motivational speaker and author who's been featured on The Breakfast Club and the Gary Vee show. New episodes posted Sundays at 9:30 pm, PST. 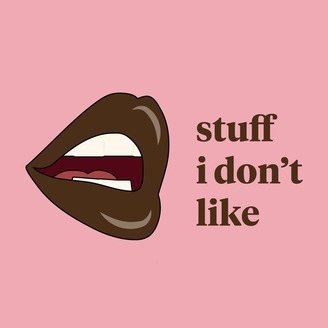 Follow the show on IG and Twitter, @_stuffidontlike.